The most expensive property ever listed in Los Angeles doesn’t include a house. 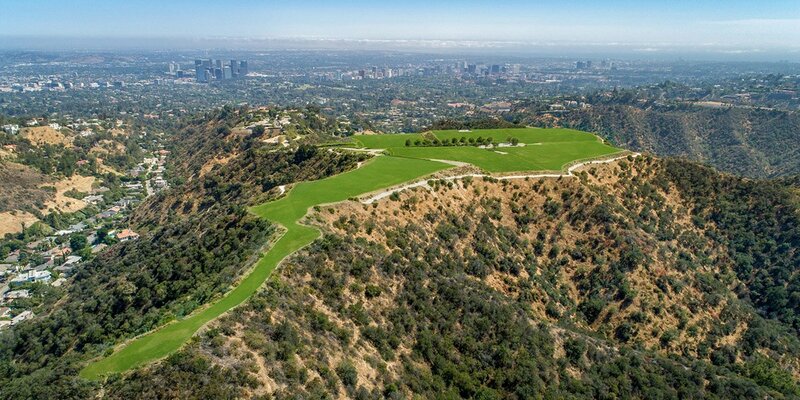 Instead, the 157-acre, sprawling swath of land accessed by a winding road just a hop-skip from Rodeo Drive comes with a near endless supply of bragging rights. Located on the highest peak in Beverly Hills, The Mountain, as its been christened, offers a developer’s dream of lots of flat land with 360-degree ocean-to-skyscraper views. It even sports L.A.’s most famous zip code, 90210. But when it comes to standing out from the competition, nothing can compare with its price tag: $1 billion. The property was previously owned by Shams Pahlavi (sister of the Shah of Iran) and later by media mogul Merv Griffin. The views are outrageous; the infrastructure is already here. This is a once-in-a-lifetime property. Far from deterring buyers, the ten-figure price has inspired a stream of potential buyers. They want to do a compound with multiple structures, multiple pools, gardens, gyms, and guesthouses. One potential buyer envisioned adding a zoo; another, an amphitheater. The Mountain is the latest to join L.A.’s great race of jaw-dropping real estate excess. Nearby, über-developer Nile Niami is finishing what was expected to be L.A.’s highest-priced listing before The Mountain came to market. Called The One, the 100,000-square-foot “giga-mansion” includes a 5,000-square-foot master suite, a 30-car gallery, a 45-seat IMAX theater, and a surround-swim jellyfish-viewing gallery. “Ninety percent of the estate is completed,” says Niami, who has built homes purchased by buyers such as Sean Combs and the Winklevoss twins. “We are now waiting on the built-ins to arrive from Italy. After those are installed it will be detailing and furniture.” Expected price, $500 million.